The Ladies Open was held yesterday, 7th August, at Alfreton Golf Club. 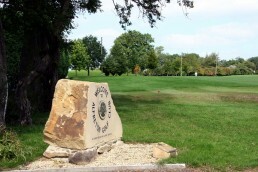 It was a AMAM stableford with teams of four from numerous Clubs in attendance. Was it the last day of the glorious summer? ‘Nearest the Pin’ prize went to Marlene Broadhurst from Nottingham City. Thank you to all the participants and organisers for making the day successful once again.